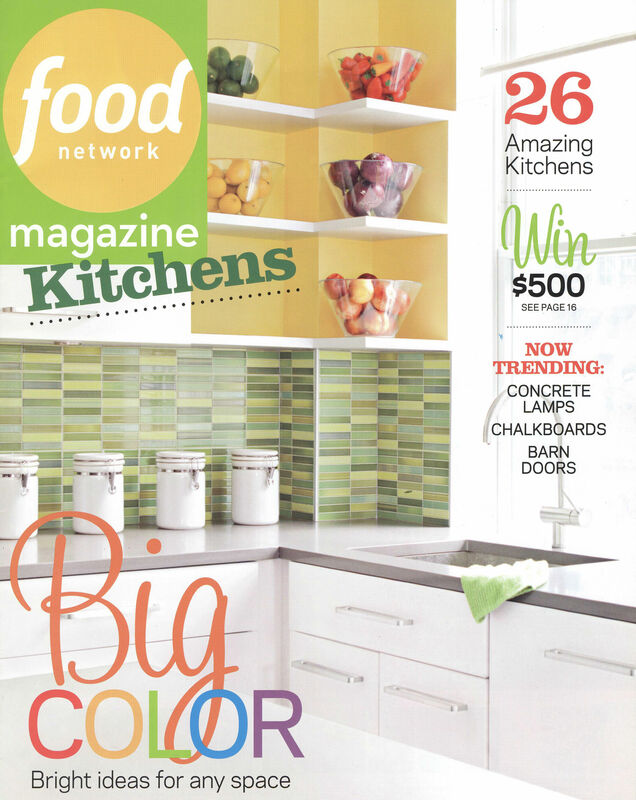 The current issue of foodNetwork Magazine’s Kitchens (October 2013) features this project in the “Now Trending” section (see below). And last week on Houzz this photo of The Meadow House was No. 1 with over 2,000,000 hits! 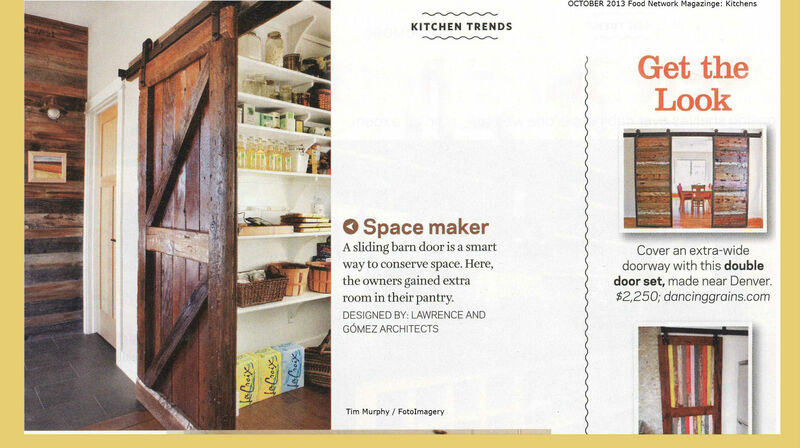 Tucked away near between the kitchen and mud room, a rolling barn door guards the entrance to the pantry. The homeowner requested and procured this handmade antiqued door that was installed by the trim carpenters on rolling hardware and track. The wood floor of the living area transitions to tile in the mud room. 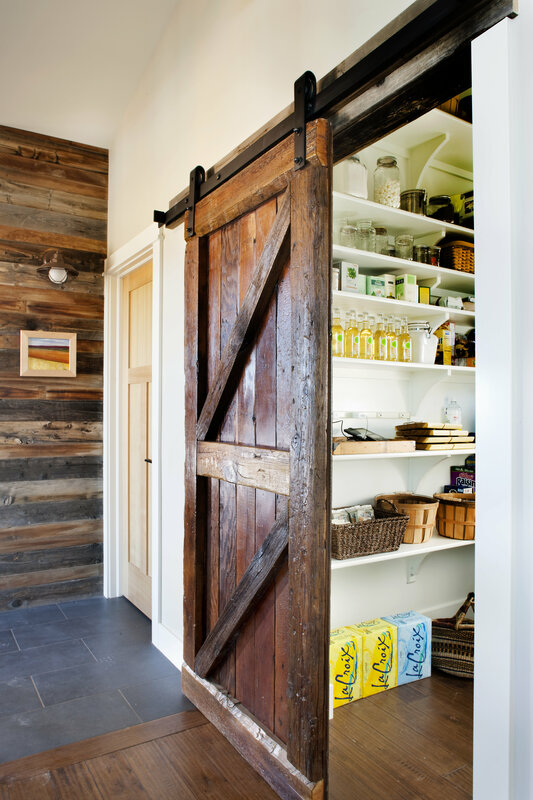 At the far end, a wall of recycled barn wood adds visual interest and warmth to the composition.